It’s the time of year when suddenly everything becomes glittery, sparkly and festive; if it’s possible to chuck some sparkle at an otherwise standard and unexciting product, then consider it done. Eyeshadows, lipsticks, highlighters, moisturisers, hairspray – and of course nail polish – all get a holiday makeover in the hope of making some cash while we’re all in the mood to party, but it can all get a little bit boring. As someone who’s not overtly glittery and refuses to wear anything that resembles reindeer earrings, I like my Christmas sparkle fun but subtle. 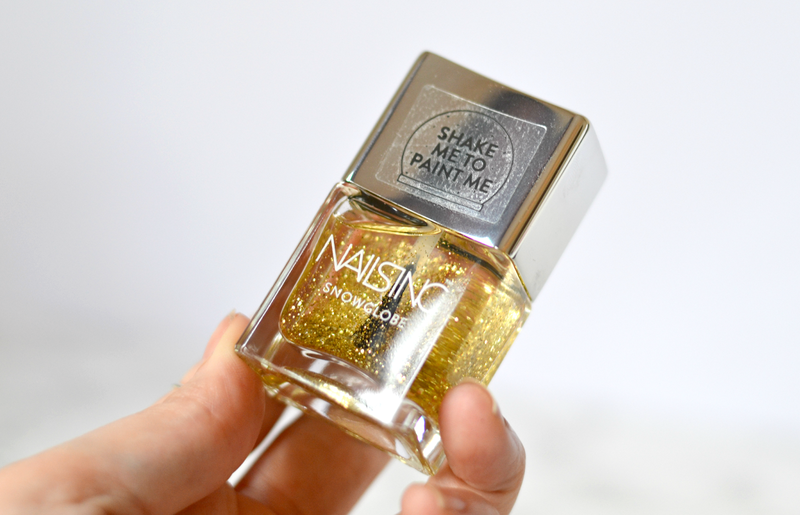 This year Nails Inc have hit the nail on the head with their clever, innovative and kitch Snowglobe polish; it doesn’t re-invent the wheel, but it does appeal to our inner kids thanks to it’s traditional snowglobe ‘shake’ appeal. 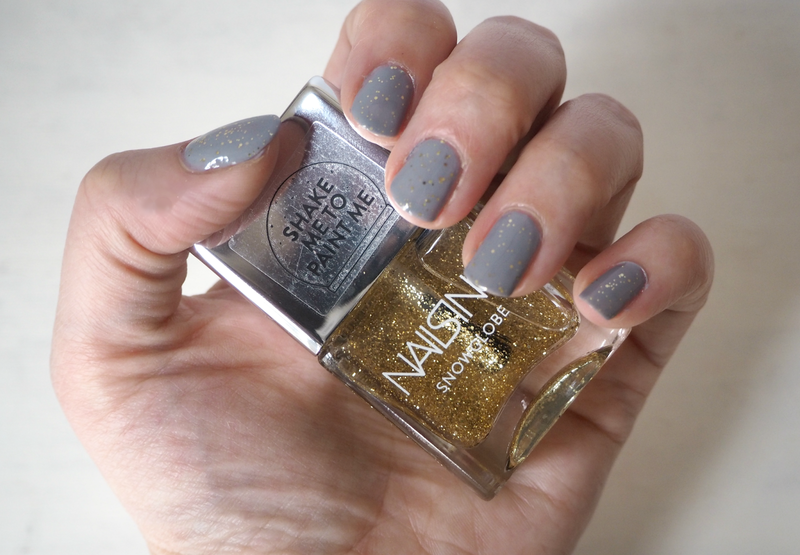 The polish is saturated with golden glittery flecks, but the difference is that they’re not suspended throughout the transparent formula; they gradually settle to the bottom, so you have to ‘shake it up’ to get the level of sparkle you want! Yes it’s totally a gimmick, but it’s also totally genius. 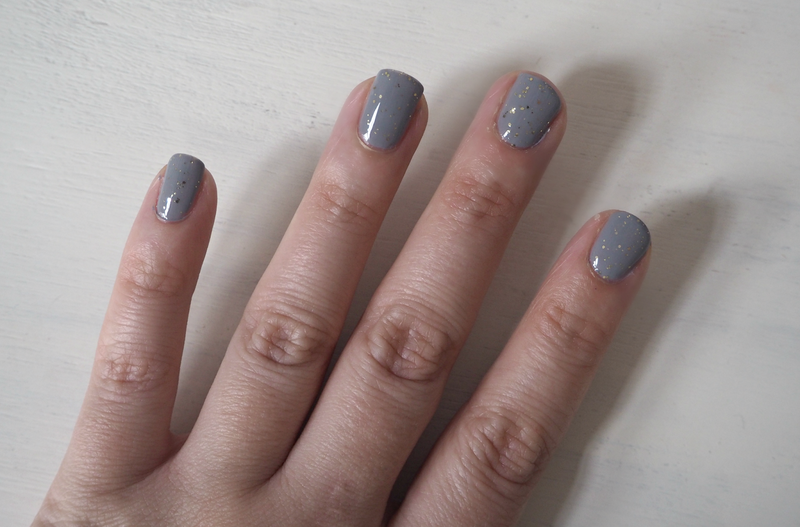 This is grown-up sparkle that’s actually much more wearable than a lot of the £3.00 polishes that are slowly taking over the aisles of Boots. What I love about this isn’t just the fact that it brings a bit of theatre to an otherwise boring concept, but you can dial up or dial down the sparkle level depending upon how much you shake. Want full on sparkle? Shake as hard as you can and apply instantly. Want something altogether more subtle? Wait for the flecks to settle and apply just a touch of glitter over the surface of nails. It looks equally fab on its own as it does over a dark polish, or used along the tips for a tasteful take on festive nails; the flecks are delicate and elegant, making this a great investment for sparkle lovers – or the best Secret Santa gift you’ll ever give. What do you think of Nails Inc’s ‘snowglobe’ concept? Are you a fan of glittery nails? 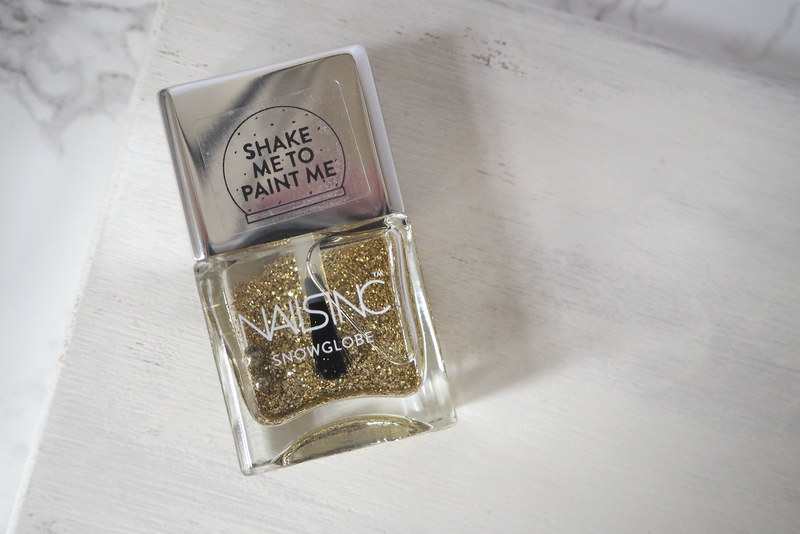 The Nails Inc ‘Snowglobe’ nail polish is available now, priced £15.00. Adore the idea!!! So festive and who doesn't love a glitter accent nail!! !